When the victims’ bodies begin turning up completely drained of blood, the club’s sleazy owner, Tony Two Fingers (played my me), hires two crooked detectives to get to the bottom of these murders to save his business. 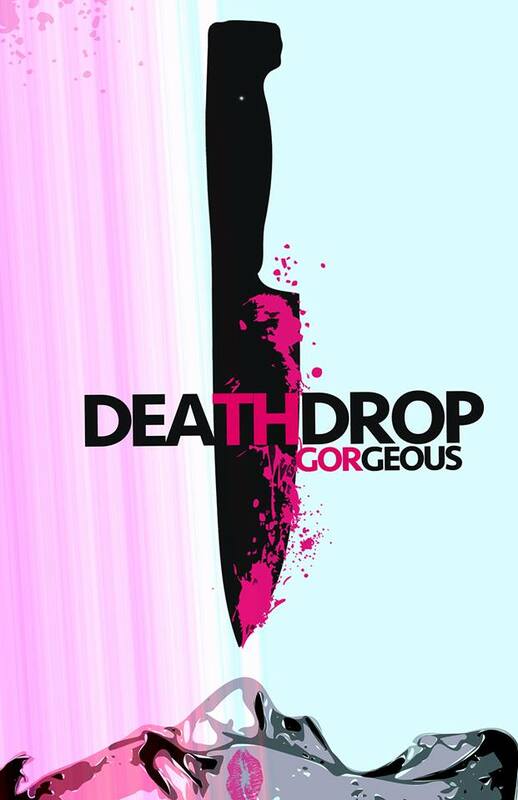 Here is the link to the Indie Go-G0 page if you want to donate and read more about Death Drop Gorgeous. The movie is a whodunit?, crime horror/dark comedy with some super natural elements. Aesthetically we will be channeling the blown out colors of Italian Giallo films and the crude grittiness and gore of the Video Nasties list from the 80’s with the dark humor of John Waters and Bruce LeBruce. Another goal of our movie is to show the world that Providence has been a thriving city in the worlds of drag, art, and music. Music, especially noise rock and noise, has been a hallmark of the Providence art scene since the 80’s. This city has spawned such legends as Lightning Bolt, Six Finger Satellite, Arab On Radar, etc. and of course a home for them all on the best noise and noise rock label of all time, Load Records. What’s not as known about Providence, is its history of the gay, lesbian, and queer community and its ever-growing drag culture. When I moved here in 2003, there were maybe a handful of active drag queens. I was fortunate enough to work in these bars and really got to see first hand how hard working these ladies were, and remember, this is pre Ru Paul’s Drag Race, so any audience they drew was due to self advertising, flyering, etc. Over the years as drag became more comfortable in society, you saw more and more girls hit the scene; fast forward to today and we have such a diverse variety of dynamic, politically woke, and creative queens showcasing their spin on the art form. Local drag bars the Dark Lady and Alley Cat, who have been pillars of the drag community, have been nice enough to let us use their locations for filming. So back to our goal of keeping things local; with the exception of some contributions from some close friends who I will mention further in the article, we want to source as many local artists, drag queens, musicians as possible. We have local queens Payton St. James who will be playing the main queen Gloria Hole, Pulp Friction, Ninny Nothing, Phaedra Phaded and two other Massachusetts queens, Janet Fitness and Avery Goodlay. The other artists I wanted to mention are Jackie Kamel, who currently resides in NYC but is originally from Massachusetts, a close friend of the film’s creators. We approached her to write a song for a very crucial scene in the film where our main queen Gloria Hole sings her heart out to an empty room. Jackie read our script with this mission in mind and something “struck her” and within an hour she assembled this beautifully melancholic song called “Queen”, and it could not have been more perfect for the character. Scoring some of the film and contributing a song from his rad band Gem Club, Christopher Barnes will be working his magic in making this movie sound amazing. Boston artist, We The Flawed (ex-Sexcrement), will also be scoring parts of the film as well; he makes some pretty dark, synthy, Carpentar-esque music that I cannot wait to pair with the bloody mayhem. Underneath all the horror, amazing music and performances, Death Drop Gorgeous also tackles the horrors of gay dating, racism within the community including the rampant racism on “dating” apps, ageism, race fetishization, and just the struggles of being a queer outsider. We are crossing a lot bridges with this movie amongst the horror, gay, queer, drag and music communities, and are hoping that many different people will see a piece of themselves in the trials and tribulations of the very human characters but at the same time, puke their brains out, laugh their asses off, cry their eyes out, all at the same time. When and where? Anything Payton does is worth seeing!! !